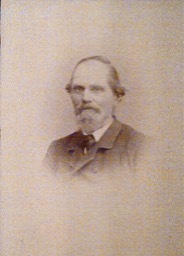 John and Agnes' eldest son John drowned on May 12, 1860 at age 9 years. The story related in Waters' "Our Loyalist Ancestors: Kith and Kin of Holden Turner" is that young John "dove into the water to rescue a friend, which he succeeded in doing. Bystanders, concerned about the nearly-drowned youngster, neglected his rescuer, who, energy expended, had not the strength to pull himself from the water. Young John slipped beneath the surface and was drowned".